The race for Oregon governor leans heavily Democratic according to the most recent polling data, but a breaking scandal involving the first lady may call the numbers into question. First Lady Cylvia Hayes, an energy and sustainability consultant, became engaged to Governor Kitzhaber over the summer. Her name in the news is creating ongoing controversy for the Governor, who was otherwise riding his campaign with a comfortable margin over his challenger. First Lady Hayes became the center of attention last Thursday when she admitted to allegations that she had accepted $5,000 to marry an immigrant. This only compounded earlier stories that she had also been involved in a marijuana growing operation and done consulting work with a conflict of interest. The question now posed to the voters is how these developments will affect their decision. A survey conducted on October 7 showed Kitzhaber 21 points ahead, with the Governor at 50 percent and Dennis Richardson at 29 percent. The 21 percent of voters who were undecided, as well as many who may have supported one candidate or the other, will have to decide where they stand after the ongoing scandal is resolved. 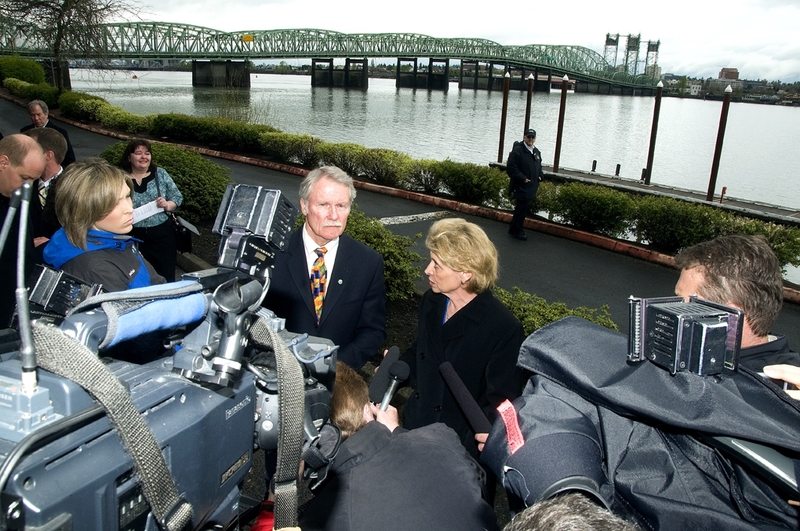 Richardson’s campaign has a long way to go, with or without a scandal for Kitzhaber. A poll researcher for the firm that conducted the survey said that Kitzhaber is likely to win, but Richardson still has a chance. DHM Research of Portland said the dynamics could change if Richardson is able to raise money to bring up his name recognition. Luke Douglas is a third-year law student, seminary student, professional political activist, syndicated opinion columnist, and in-demand speaker. He holds a Bachelors degree in communications. Contact him for consulting in campaigns, nonprofit organizations and fundraising.